Remix: The 12-hour iOS development challenge happening at Mind Camp 7! UPDATE: If you're an iOS developer, artist, designer, or engineer, and want to take part in REMIX, Monster Costume is offering you free access to the entire Mind Camp 7 event! 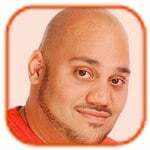 Drop an email to andru AT gearlve.com to get your free ticket. If you're an iOS developer, designer, artist or the like, you'll wanna pay attention to yet another reason why Seattle Mind Camp 7 is where you'll wanna be on August 20! 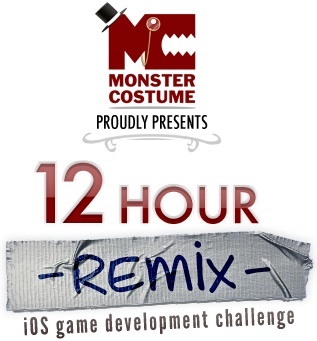 Monster Costumer, the sponsor of Mind Camp 7, will be hosting REMIX - an overnight 12-hour iOS game development challenge. Teams of three will take the existing source code of a never-before-published, bare bones, functional iOS game. It is then your task to take that code, and mash on it until it's a game of unsurpassed brilliance (or, you know, until 12 hours is up.) At the end of the challenge, the team with the most outstanding finished product, as determined by our judges and Mind Camp attendees, will be named the winner - and all three team members will each receive an Apple iPad 2! The competition will begin at 9:00pm, so you'll be able to enjoy all the other sessions and festivities during Mind Camp - but overnight you'll be battling to walk away with a trio of iPads, and to show off your stuff. Monster Costume will even partner with your team to publish the game to the App Store. So, what is the game to be remixed? We figured you'd ask, but unfortunately that's being kept secret until 9:01pm on August 20! Be sure to get registered for Seattle Mind Camp 7 so you can take part in the competition - and then head on over to the REMIX registration page. There's no extra fee to participate in the REMIX challenge, but this helps us plan for how many people want to take part, who's teaming up with who, who needs a teammate, etc.